Who is ready for summer? Keep your hands up if you are excited about fresh summer veggies and refreshing salads! 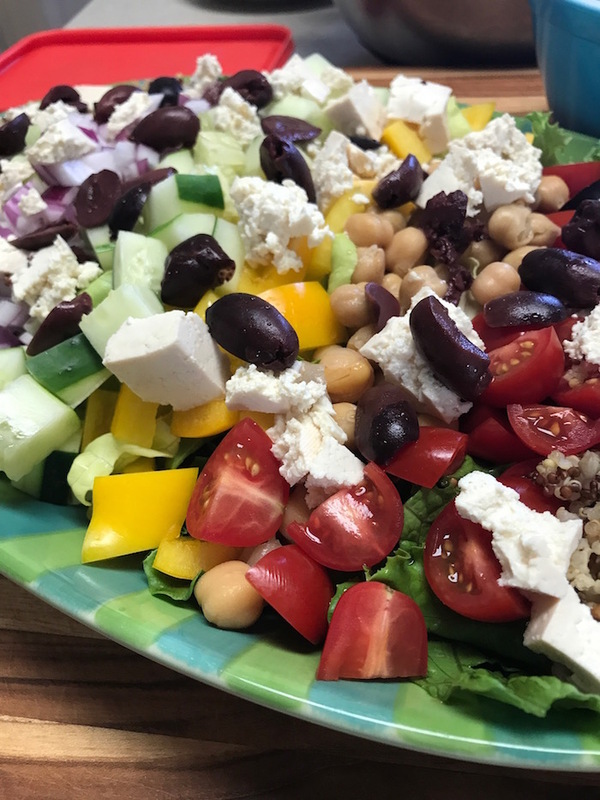 This clean and crisp Greek Salad Bowl is sure to knock your socks off, and it makes an excellent potluck or BBQ dish to pass. The VegInspiredChef and I are naturally drawn toward whole plant foods. 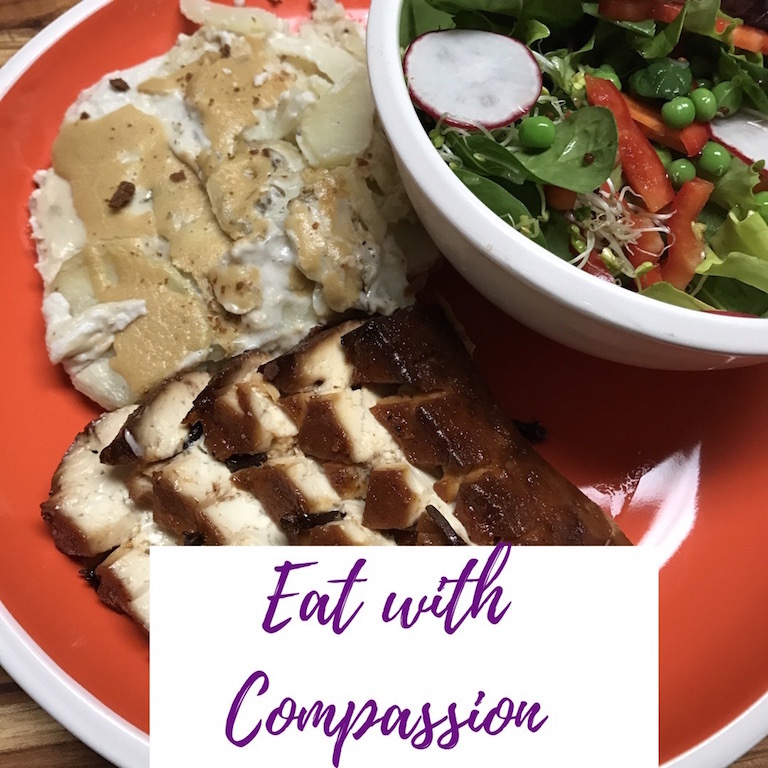 We enjoy whole starches, grains, beans, vegetables, and fruits. So after a day of eating some processed vegan foods-eek!- we wanted something fresh and whole foodish! 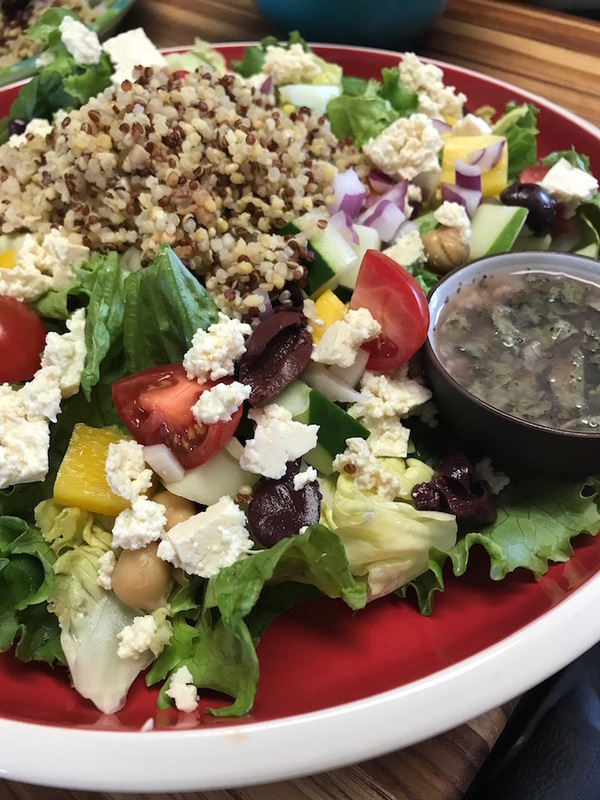 A Greek Salad Bowl was the answer to our cravings. 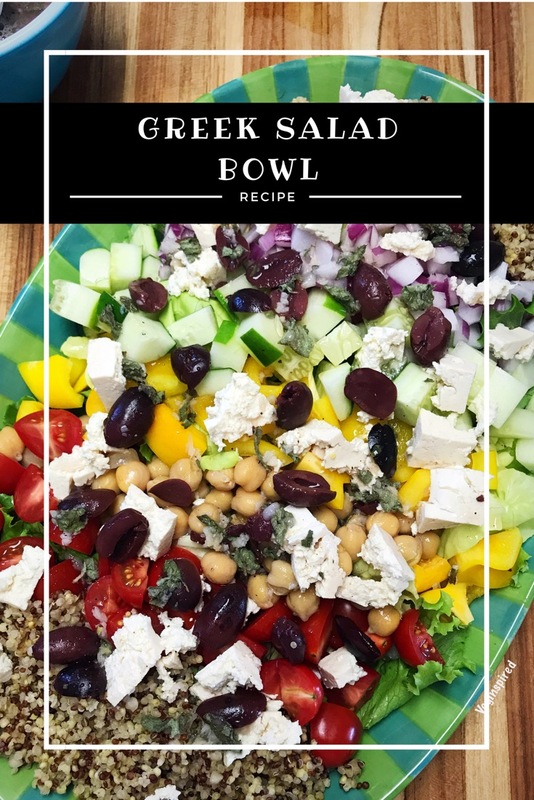 This Greek Salad Bowl is easy to make and tastes great. 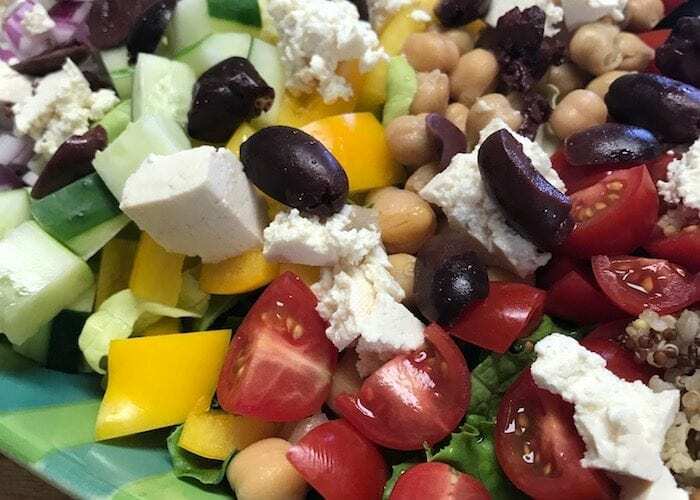 Traditionally, a Greek Salad has feta, to get that salty briny crumble on the top of our bowl, we marinated extra firm cubes of tofu in a quick marinade for a few hours. 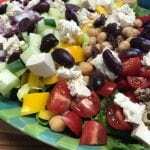 We enhanced the traditional Greek Salad with our favorite 365 Brand Super Grains which we buy at Whole Foods. 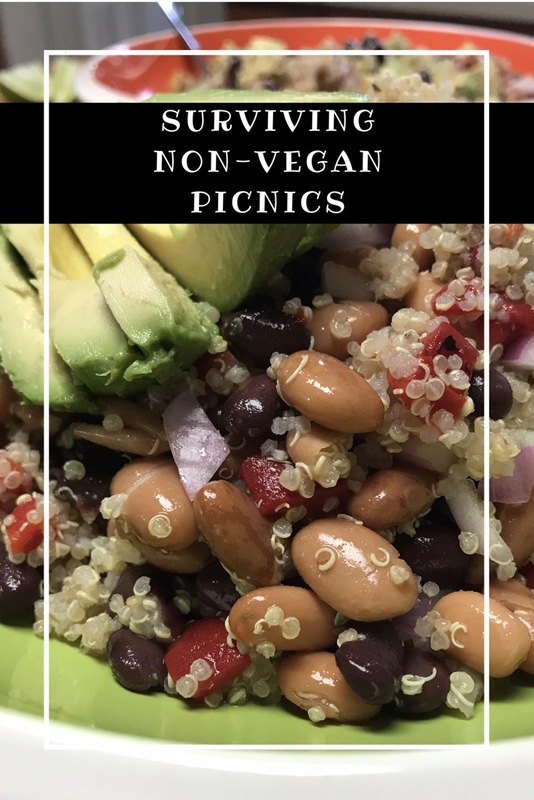 These are a pantry staple in the VegInspired Kitchen and most days you can find a precooked batch waiting patiently to be tossed into a Buddha Bowl or Grain Bowl – like our Buffalo Cauliflower Bowl, or our “Special Sauce” – Vegan Burger Bowl. They work perfectly as an enhancement or as the main “event”! 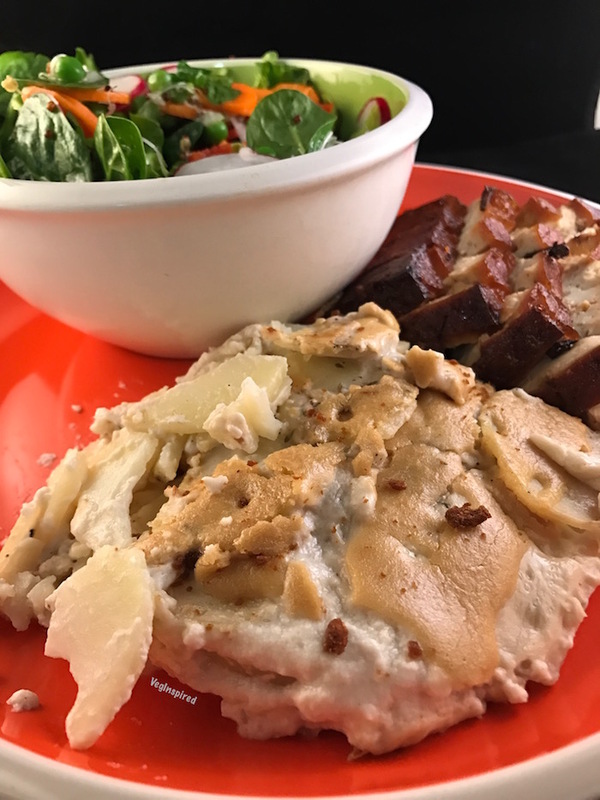 Lastly, we kicked up the traditional Greek dressing, by creating our own using fresh herbs from our CSA (Community Support Agriculture) box. The trifecta above added to chopped veggies was a winning combination. 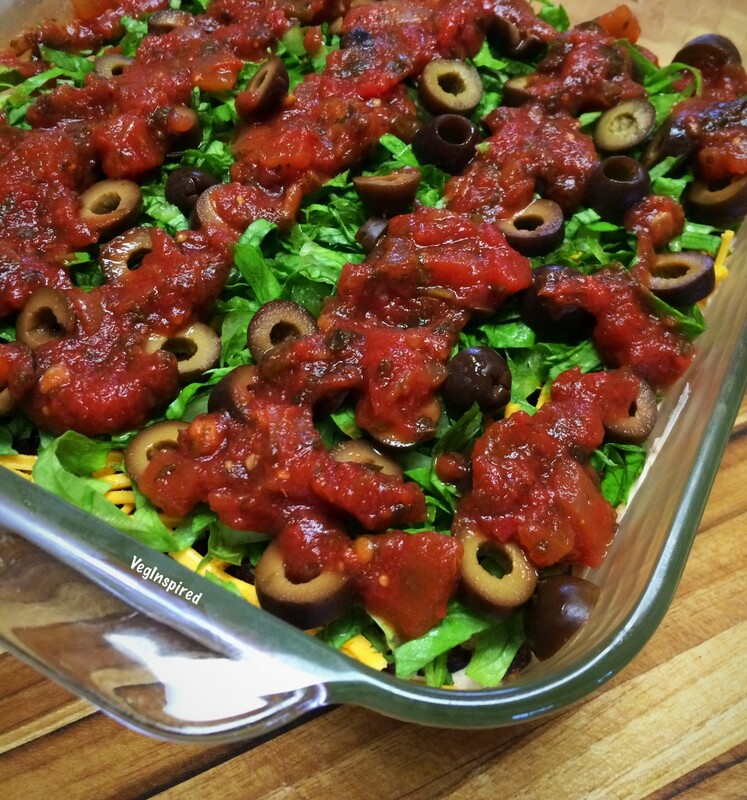 Tossed - mix ingredients (the amounts may vary, look at proportions as you mix) in a large bowl. (I enjoyed the leftovers this way and the super grains soaked up the dressing, which gave them a tasty flavor. You may decide to toss the veggies and then serve them atop the grains (or vice versa). 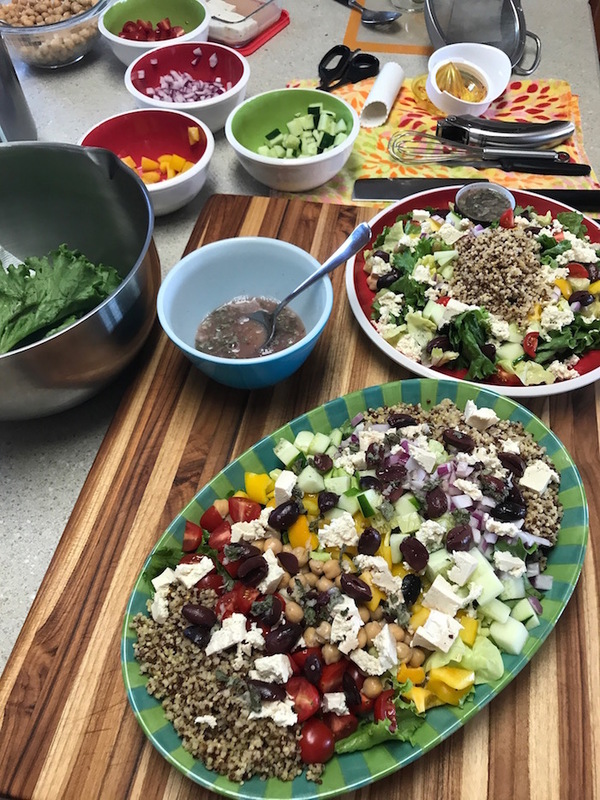 Add a Greek Salad Bowl to your next BBQ, Picnic, Party, or just for your weekly menu – you’ll be pleased! 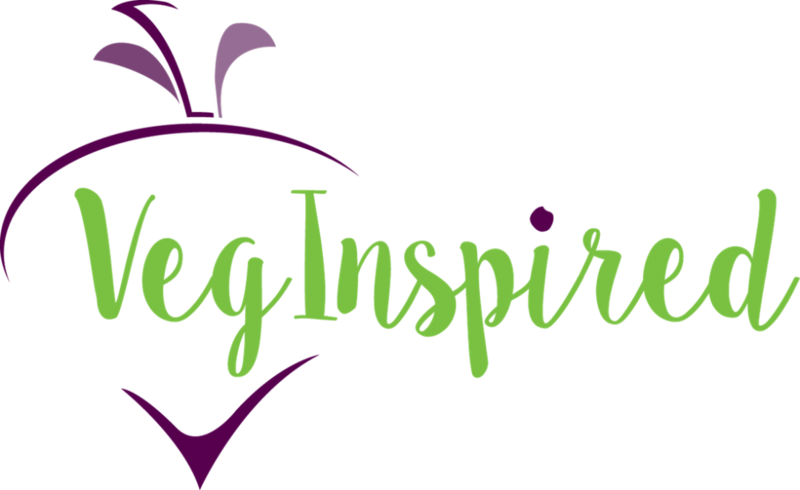 Live VegInspired and Eat more Plants!